The majority of well-paying jobs created since 2010 require some education beyond high school. Post-secondary attainment is increasingly necessary to move out of poverty and homelessness, and live a healthy, productive life. Yet youth experiencing homelessness face barriers in transitioning from secondary to post-secondary education, as well as barriers to financial aid, college retention, and college completion. The Every Student Succeeds Act and the Higher Education Act contain provisions designed to remove these barriers, and help homeless youth achieve economic independence through higher education. We will continue to add resources to help you learn about the challenges facing college students who are homeless, and how institutions of higher education and communities can meet their needs. Stay in touch with us to learn about new resources as we produce and collect them. In the meantime, you can find answers to common questions about homelessness and college on our Common Questions page. Online training to support college transition for homeless youth. Created by John Burton Advocates for Youth, this online training offers a series of brief lectures on topics such as creating a college-going culture, application, enrollment, and financial aid, all through the lens of special considerations for students who have experienced homelessness. The lectures are accompanied by optional quizzes and activities to support retention of the material. While the focus is on California, much of the material is applicable nationwide. Published by the U. S. Department of Education, this guide provides information and resources on applying to, paying for, and succeeding in college. It was written specifically for youth who are or were ever homeless, or are at risk of experiencing homelessness. Whether you work in K-12, higher education, child welfare, or homeless services, the release of the new Free Application for Federal Student Aid (FAFSA) is an important date. This brief provides concrete ways to help youth experiencing homelessness and youth from foster care, as well as practical resources. This form letter may be edited as appropriate for your school district, institution of higher education, shelter, transitional living program, or street outreach program. This second “Pathways to Partnership” series is designed to help LEA homeless liaisons and homeless service providers to 1) gain a basic understanding of some important higher education programs, including those programs that have specific requirements on homelessness; and 2) create and sustain higher education partnerships. Connecting youth and young adults who experience homelessness with the appropriate resources will help pave a smoother transition to and through postsecondary education. Understanding Financial Aid Practice and Policy for Unaccompanied Homeless Youth. This webinar, recorded on June 28, 2017, features presenters from the U.S. Department of Education and SchoolHouse Connection. Download the powerpoint and Q&A here. The National Center for Homeless Education is the U.S. Department of Education’s technical assistance center on the education of children and youth experiencing homelessness. NCHE has compiled a comprehensive higher education and homelessness resources page. Established in October 2004 and administered by the U.S. Department of Education’s (ED) Office of Safe and Healthy Students (OSHS), the REMS TA Center provides a hub of information, resources, training, and services in the field of school and higher ed emergency operations planning. The 115th Congress began the reauthorization process for the Higher Education Act with a Senate Health, Education, Labor and Pensions (HELP) Committee hearing on simplifying the Free Application for Federal Student Aid (FAFSA). The hearing featured testimony from Elaine Williams, a SchoolHouse Connection Young Leader and remarkable advocate for homeless youth in Richmond, VA. Elaine told Senators of the numerous burdensome financial aid documentation requests she was confronted with once she got to college, and the impact of those documentation requests on her education, student debt, and mental health. Congress is considering the reauthorization of the Higher Education Act. This one-page document draws from the May 2016 GAO study to make legislative recommendations for improving the college access and success of homeless and foster youth. Legislation Introduced to Help Homeless and Foster Youth in Higher Education. On 9/12/2017, two bills were introduced in Congress to help homeless and foster youth transition successfully to higher education and receive the financial aid and other supports they need to complete their degrees. Learn more about how they would help, and what you can do. In 2015, the U.S. Department of Education released a Dear Colleague letter clarifying determinations for unaccompanied homeless youth for financial aid. The letter provides guidance for financial aid administrators on the definition of homelessness, how to make determinations, and documentation. It revises federal policy so that all applicants under age 24, including those who are 22 or 23 years old, and who are unaccompanied and homeless, or self-supporting and at risk of being homeless, qualify for a homeless youth determination and will be considered independent students. The Every Student Succeeds Act of 2015 includes new policies to help homeless students transition to higher education, including new requirements that school counselors provide advice to homeless youth to prepare and improve their readiness for college, and that school district homeless liaisons ensure that unaccompanied homeless youth are informed of their status as independent students for college financial aid and obtain verification for the FAFSA. Download a two-page summary of ESSA and homelessness. State Laws Supporting College Students Experiencing Homelessness. In December 2018, the federal Government Accountability Office (GAO) released a new report entitled Food Insecurity: Better Information Could Help Eligible College Students Access Federal Food Assistance Benefits. Increasing evidence indicates that some college students are experiencing food insecurity, which can negatively impact their academic success. However, college students are only eligible for SNAP in certain cases. Given the substantial federal investment in higher education and the risk posed if students do not complete their degrees, GAO was asked to review food insecurity among college students. 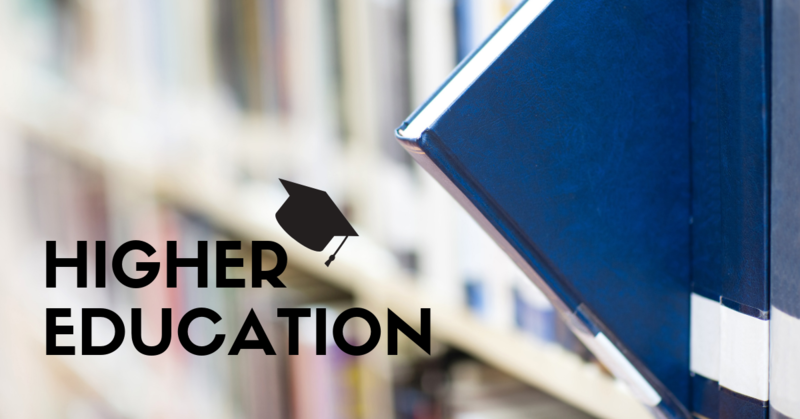 SchoolHouse Connection released “Youth Homelessness and Higher Education: An Analysis of FAFSA Data.” The report examines a critical component of the basic needs of unaccompanied homeless youth in higher education: financial aid. It also includes recommendations for policy and practice. In April 2018, Wisconsin HOPE Lab published “Still Hungry and Homeless in College“, which summarizes the findings of a national survey that included 66 colleges and universities, including 31 community colleges and 35 4-year colleges and universities from 20 states and Washington, D.C. The survey found that 12% of community college students and 9% of university students experienced homelessness over the last year. Published in February 2018, CSU’s Study of Student Basic Needs is the most comprehensive mixed-methods study of university students’ unmet basic needs and the relationship to student success ever completed within a 4-year higher education system. In March 2017, Wisconsin HOPE Lab released the results of a national study on hunger and homelessness among community college students. The study, Hungry and Homeless in College: Results of a Study of Basic Needs Insecurity in Higher Education, found that one-third of community college students are hungry and 14 percent are homeless. A February 2017 SchoolHouse Connection report, “This is How I’m Going to Make a Life for Myself:” An Analysis of FAFSA Data and Barriers to Financial Aid for Unaccompanied Homeless Youth, provides insights into the challenges that unaccompanied homeless youth face in accessing federal financial aid. The report is based on newly available U.S. Department of Education (ED) data from the 2015-2016 Application Cycle of the Free Application for Federal Student Aid (FAFSA). The ED data also provide state-by-state breakdowns of the numbers of applicants determined to be (or at risk of becoming) unaccompanied homeless youth. These data will help states assess progress in implementing important new ESSA provisions designed to help youth experiencing homelessness transition from high school to post-secondary education. In May 2016, the U.S. Government Accountability Office (GAO) released a report on the challenges and barriers affecting the ability of homeless and foster youth to pursue a college education. The GAO found that burdensome program rules can hinder the ability of homeless and foster youth to access federal supports; extensive documentation requests can impede access to aid for homeless youth; annual re-verification of homelessness poses barriers for unaccompanied homeless youth; and that limited academic preparation, family support, and awareness of resources make it harder for homeless and foster youth to pursue college.